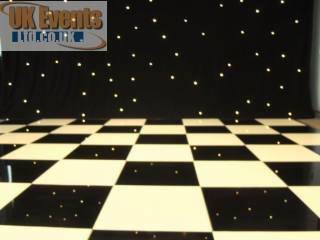 Hire a starcloth backdrop or draping system in white or black to add a touch of class to your event. 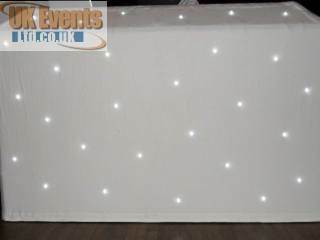 Our pure white starcloth is ideal for complimenting a white themed event such as a wedding or Christmas occasion. 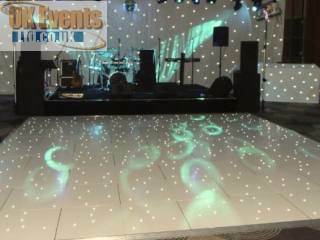 The white starcloth is also a great match if you are considering hiring our white starlit dance floor. The starcloth comes in 6m x 3m Lengths and is typically hung off a free standing truss, which winches to the required height. Our most popular starcloth is the black starcloth drape. 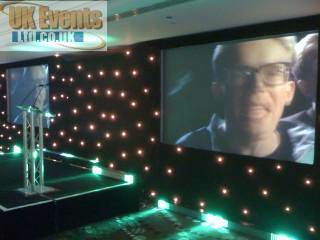 The black starcloth works well in any type of room and is ideal for a band or disco backdrop to achieve that professional and stunning look. 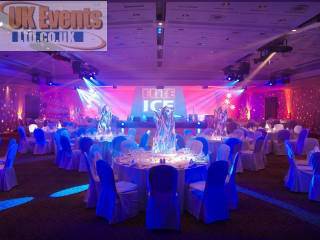 We can even starcloth the whole room to achieve your desired effect. 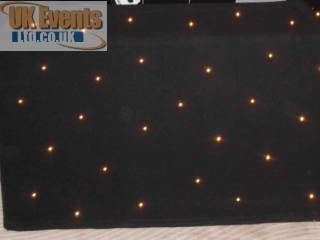 Make sure that you book a matching DJ booth with your starcloth. 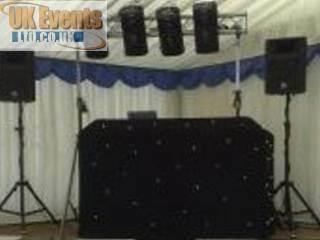 Even if you have arranged your own DJ, we are able to hire you a black or white starcloth DJ booth to match your starcloth backdrop. There is nothing worse than booking a disco and all of the cables are hanging round the front of the DJ console. 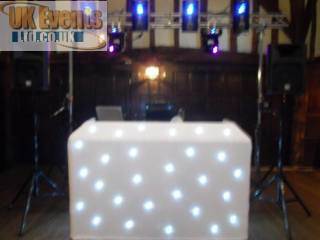 We can help you deal with this by supplying you with a pure white or pure black DJ starcloth surround. This covers all of the ugly boxes and cables for a true professional look.